Good "fooler's" take advantage and try to get their victim early as possible so that they don't realize they are being fooled. So Hurry !!!! 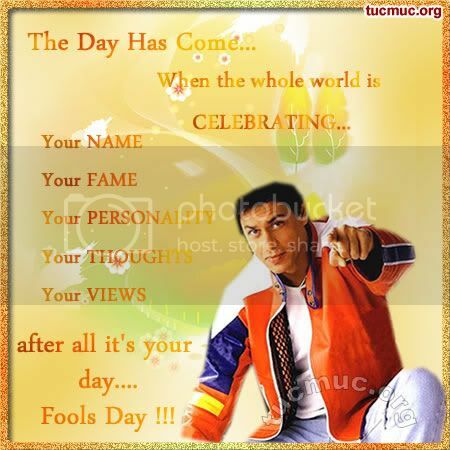 April Fool's Day or All Fool's Day, was once used to be celebrated as the New Year's Day. It evolved into its present form through several centuries and influenced by several cultures.